Looking for a quick beginner friendly & super chunky crochet blanket pattern? 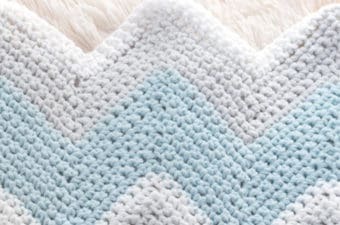 You can use the free pattern below to make a cozy crochet throw blanket in just a few evenings! I promise you will be toasty warm for winter! Ready to get started on your own chunky blanket cozy retreat? 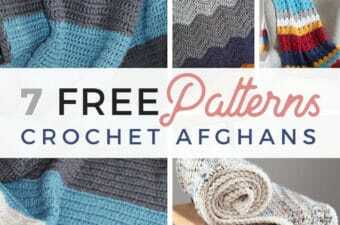 Read on down to find the free crochet blanket pattern written for 5 different sizes! Great Crochet Blanket for Beginners because of the chunky yarn! 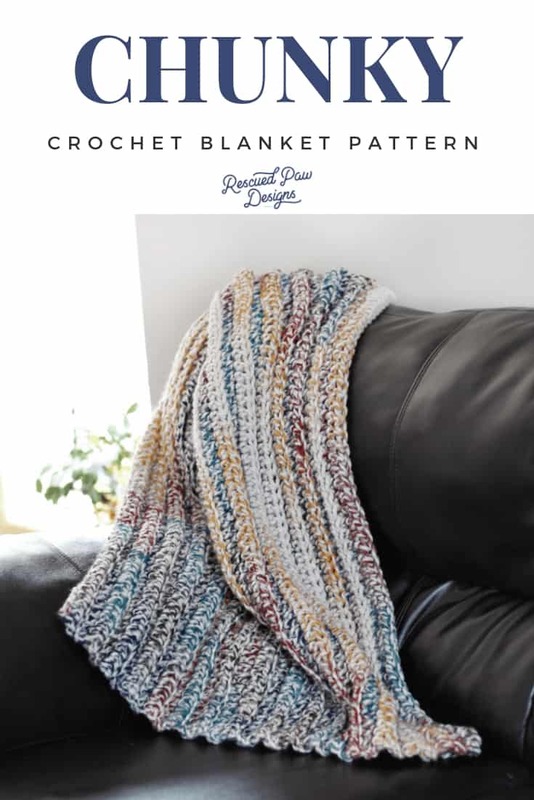 This easy chunky crochet blanket is a great beginner friendly crochet pattern for those who are just learning how to crochet. I promise this crochet blanket works up in so quick! I finished my blanket up in just a few days because my favorite bulky yarn Lion Brand Thick & Quick! I made the entire blanket using the color Hudson Bay, which is one of my favorite colors that Lion Brand makes! Works up Fast because of the chunky yarn! I gifted this blanket to my Mom and she loves how cozy (and chunky it is!) This blanket is made with super simple crochet stitches (yes… PERFECT for beginner crocheters! 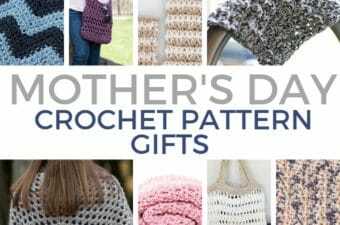 and is an easy crochet pattern to get the hang of! Like most of my patterns this one works up fast and will have you warm in no time. 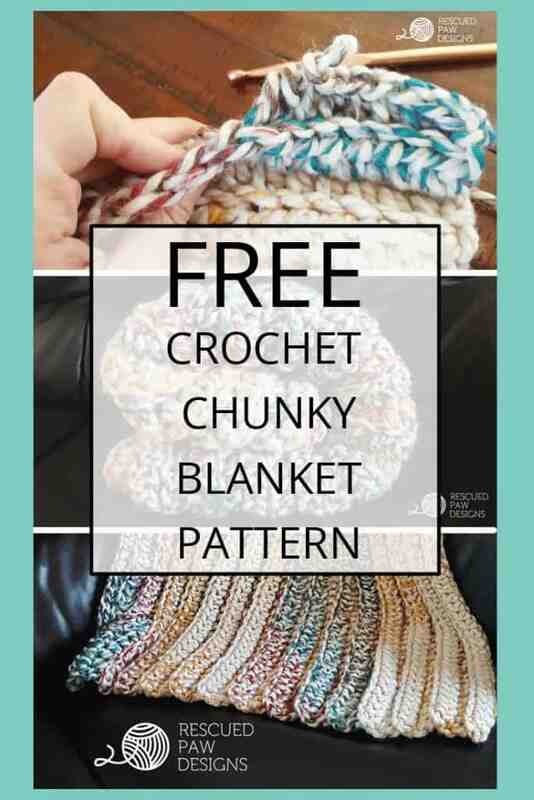 Ready to learn how to crochet a chunky blanket? This is one of those patterns that once you get the first few rows in you are good to let your mind go and just crochet! I have to admit that I sat in front of the TV with my pajamas, coffee and Netflix for about two evenings while working on this! But who doesn’t love to crochet & Netflix binge? 5 SIZES & Super Easy to customize!! I designed this crochet blanket in 5 sizes, and listed the exact yardage of yarn you will need for each size. I figured it would be best to have options! I love the fact that you can crochet a chunky baby blanket crochet pattern in no time at all! The larger sizes do take longer to do so, be aware that you may be working on them for a while. If you think you are ready to tackle this chunky yarn crochet blanket, then read on down for the full FREE pattern or grab the PDF for a low price below! AD-FREE PDF from my pattern shop without any of the annoying ads! Lion Brand Yarn Wool Ease Thick & Quick in Hudson Bay or any bulky 6 yarn. The blanket will be worked in HDC (Half Double Crochets) in the Back Loop (BL) of each row! CLICK HERE for a low cost printable PDF of this pattern. After Row 36 fasten off yarn and weave in loose ends with yarn needle. After Row 75 fasten off yarn, cut with scissors and weave in loose ends with yarn needle. After Row 80 fasten off yarn, cut with scissors and weave in loose ends with yarn needle. That’s it! The Chunky Crochet Blanket is now complete! This really is a quick and easy crochet throw pattern! LOOKING FOR THE YARN TOTE? 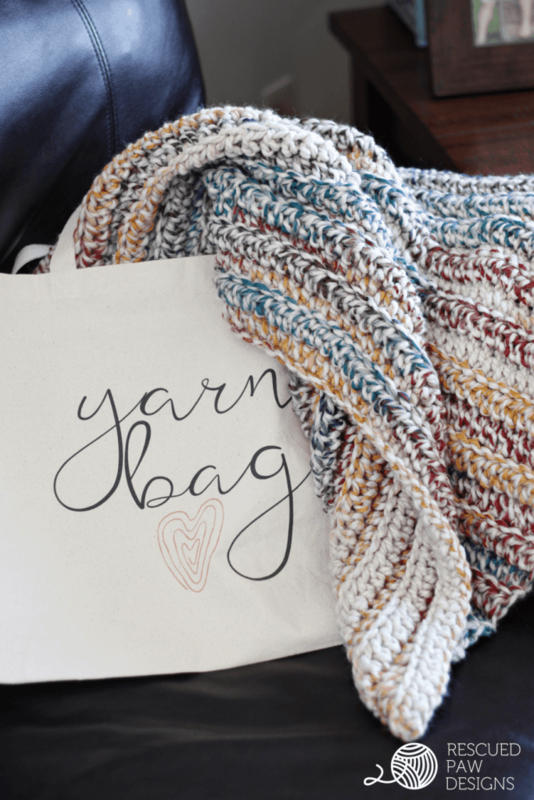 “Click Here” to get your very own yarn project tote! If you liked this pattern follow along with me onFacebook, Instagram or Pinterest (where I pin daily!). If you prefer video tutorials you can also find me over on YouTube! If you are looking for other crochet throws for beginners then click here to explore my free crochet blanket patterns! Happy Crocheting! You may also like these posts too..
Beautiful. This is also a great yarn. Seems like this would be more sturdy and would not fray as easily than the roving blankets that are out. What size did you make in the pictures? I already have 5 skeins of this yarn and have been looking for a pattern to make a throw blanket like this. This is gorgeous!! What a coincidence. Today I just started looking for a thick blanket pattern to make for my next project! Guess I know which one I’ll make. Thank you for sharing this wonderful pattern. L.
Thank you Lucia! I am glad found us! 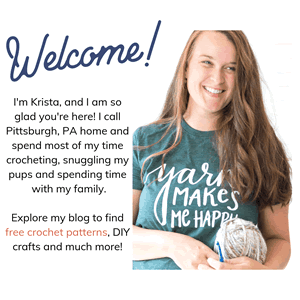 Hi Krista, beautiful pattern……I’m attempting it now! Question though: when I start row 2 in the 2nd chain from the hook and do 78 hdc’s I end up with one chain left at the end of the row. I’ve done that twice now….what am I doing wrong? I definitely did 78 chains + 2 for the foundation row and checked to make sure I was starting row 2 in the 2nd chain from the hook. Any idea what the heck I’m doing wrong?! Thanks!! Hello! I was wondering what kind of hooks you use, what is you favorite brand? I’m a beginner crocheter, self-taught from videos and instructional websites, and I’ve been searching for a repetitive pattern to practice my basic skills, but still turn out a beautiful looking blanket. I think this will be the perfect one! Thank you for the inspiration, I look forward to starting this project. I am using Big Twist Denim Blue with a K hook to make a shrug. I’ve been crocheting for a long time, but I never got past the beginner stage. This pattern is so easy but it makes me look like a pro! Thanks, Krista, love your Facebook posts! The yardage is listed for each size at the beginning of the post. 🙂 Hope this helps. Been working on a kingsize version of this using 2 aran weight and 1 whatever-weight coloured yarn threads, and I’m almost done! 3 months of work on and off, usually breaks because I’ve decided to only use yarns from my local charity shop, so sometimes have to wait for new stock. But omg it’s become the most beautiful, squishy, hard-wearing blanket ever, I’m so proud of it. Love the ribbing this pattern gives, so thank you very much! Is it possible to use a worsted weight yarn for this pattern? You could, but it would not turn out as big or as thick. You could try holding two strands of worsted weight together to make it comparable. This blanket in a size 4 medium. What alterations do I gave to make to the patterm? It just means you will add two more chains to the initial chain #. Hello Krista, thank you very much for this lovely pattern. I’ve made a small square for a cat that our friend has recently rescued. I live in the UK and was really pleased to find the yarn you recommend and it was great to work with. Best wishes, Sarah. This looks like a fun project! I have a ton of bernat blanket yarn. Do you think this work be a good pattern for it? Thanks so much!